Espresso Tuscany finish, black with brown undertones. 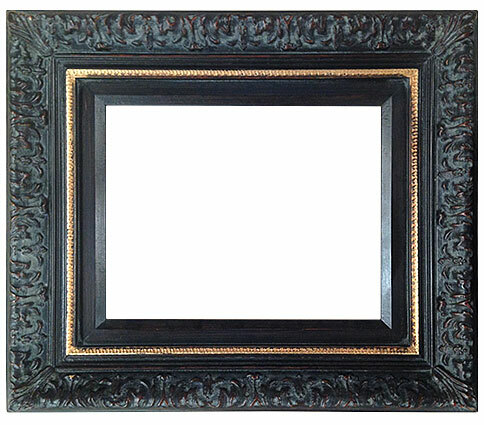 Decorative fleur design, ornate gold compo, flat espresso interior. 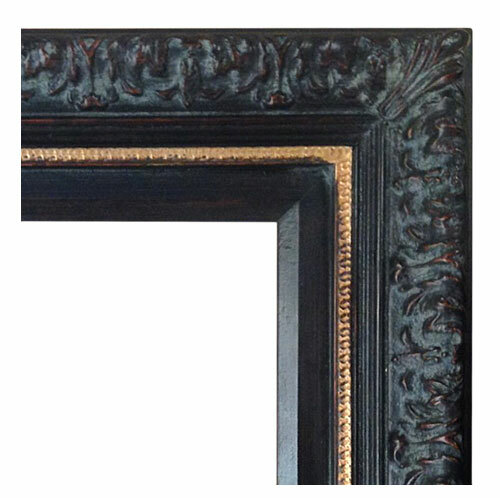 This frame is no longer available as a close out, but can be made as a standard size frame in any finish. Call us to order!